MINNEAPOLIS (AP) — It’s probably not a stretch to say Emmett Hutchinson could be Wirth Cooperative Grocery store’s biggest booster. He brought in more than three dozen new shoppers after the Aug. 10 opening with an enthusiastic pitch. On a recent day, he’d convinced his nephew Desean Tennin to give it a look, and Tennin was impressed. Hutchinson joined Wirth a month before it opened. And now his nephew is sold too. Wirth is less than a month old but it’s already a source of pride. Its location and inventory mean accessibility to fresh food and vegetables to neighborhoods without supermarkets. But there was nothing quick about residents’ effort to bring North Minneapolis its first co-op. It took 10 years. “There were so many roadblocks but they were determined because there was a need,” said Winston Bell, the co-op’s general manager. And that need produced substantial consumer support for the effort. “We had just over 700 members before we even opened the doors,” Bell said. Those hopefuls paid $100 each. At 4,500-square-foot, the store’s footprint is small, about a tenth of the median for the industry. But it’s organized like a typical grocery store. There are sections for produce and packaged goods. 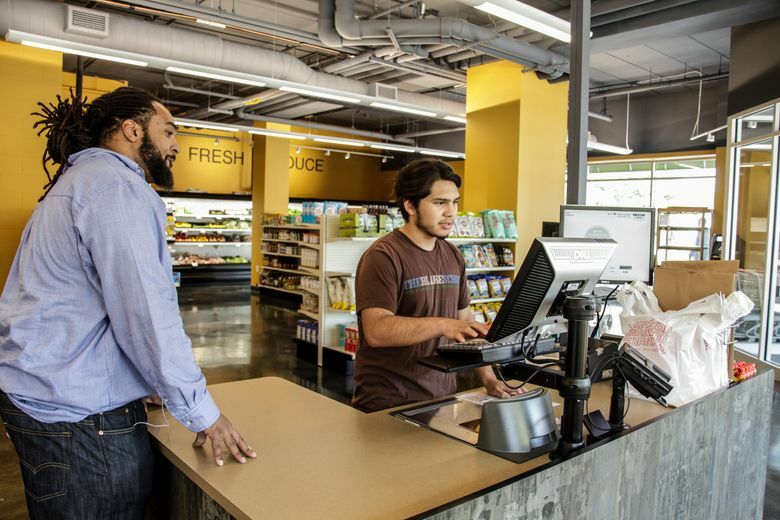 Parts of north Minneapolis are federally designated “food deserts,” census tracts of low-income residents with little access to supermarkets. The co-op’s founders wanted to increase access to fresh foods, foster a culture of healthy eating, and stimulate the neighborhood economy. 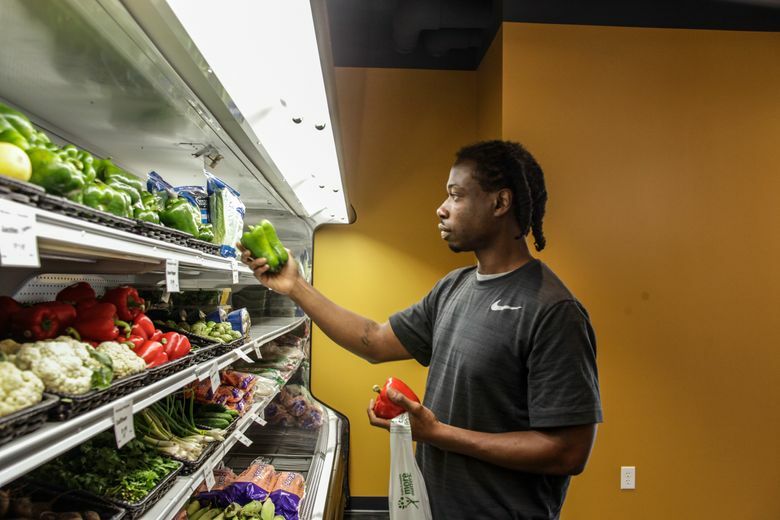 Wirth Co-op board member Kristel Porter said the founders believed a co-op would not only improve nutrition in the area but provide a sense of ownership and foster neighborhood pride. The grassroots effort hit plenty of snags. There was turnover on the board. New and complex licensing for co-ops didn’t help either. But Porter said the main delay was financial. 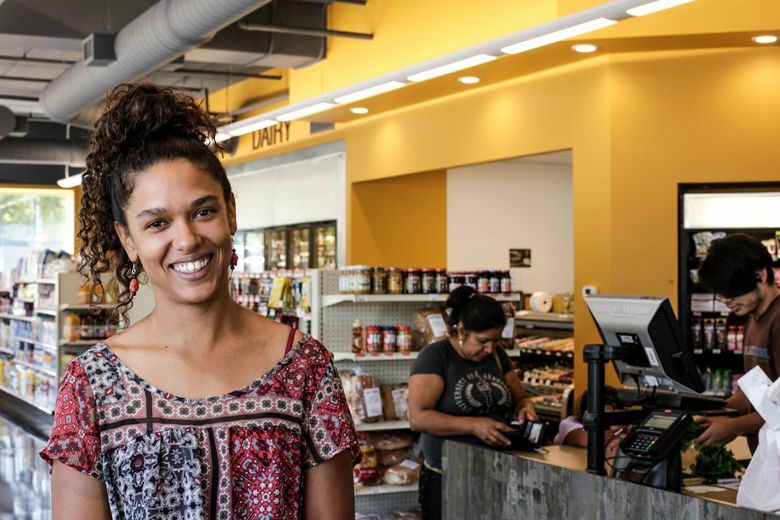 Banks doubted a food co-op would be viable in north Minneapolis. Financing was contingent on demonstrated demand. Banks wanted to see a certain number of paid members before making a loan. Over the years, Porter said, the required number of memberships kept growing, from 250 to 700 members. But eventually they reached the goal. “Being able to rally up people and get them to invest in something that wasn’t there is really hard to do in a community that has the lowest average area median income in the entire city of Minneapolis,” Porter said. Some of Wirth’s original members have moved out of state. “It’s been so long that we have people who signed up that may live in Michigan,” general manager Winston Bell said, adding some of them plan to shop at Wirth when they visit. Despite the bankers’ skepticism, Porter said the cooperative business model is a good fit for the organization’s social goals and the area. A $500,000 federal grant, along with other donations, last year finally set things in motion, leading to an approval for financing. The store is in The Commons at Penn, a mixed-use building built by former NBA player Devean George, who grew up on the north side. “The after school program for the kids and the grocery store for the community. Goodbye food desert,” George tweeted recently. The co-op also wants to keep money in the community. It employs 10 people and a growing number of its produce suppliers are in north Minneapolis. Melissa Knofczynski, a social worker at a high school in the neighborhood, grabbed lunch recently with a colleague for the first time at Wirth’s deli. North Minneapolis is slated to get a nonprofit grocery store this fall. Pillsbury United Communities is set to open North Market about 3 miles north of Wirth co-op, where membership has been steadily climbing. Social media, along with old-fashioned door-knocking and leafleting, are spreading the word that the co-op is finally open. Emmett Hutchinson’s been a major force in getting the word out, with his posting on Facebook and passing out fliers. Hutchinson’s brought in so many new shoppers that he was recently added to the co-op’s payroll as a marketer. The co-op is a few blocks from his house, so he doesn’t have to hop on the highway for his organic foods. His diet is healthier, and he talks endlessly about the co-op. CORRECTION: An earlier version of this story incorrectly identified the original source of the story. The correct source is Minnesota Public Radio.